The tournament is listed under Poker -> Tournament! 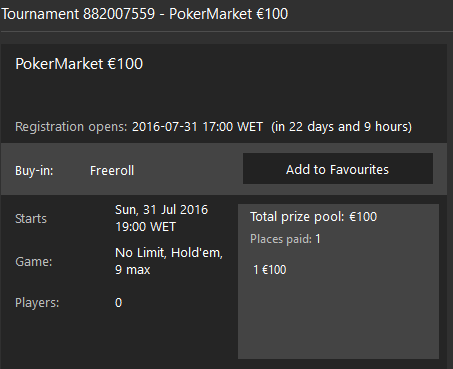 Don't miss the chance for a little bankroll boost and join our 100€ PokerMarket Community Freeroll! Do I need to sign up somewhere or does the e-mail get sent to everyone automatically? tourney will appear 1 week before the start. All users which have a registered bet365 account with pokermarket as their affiliate will receive an email with the password one day before the start. 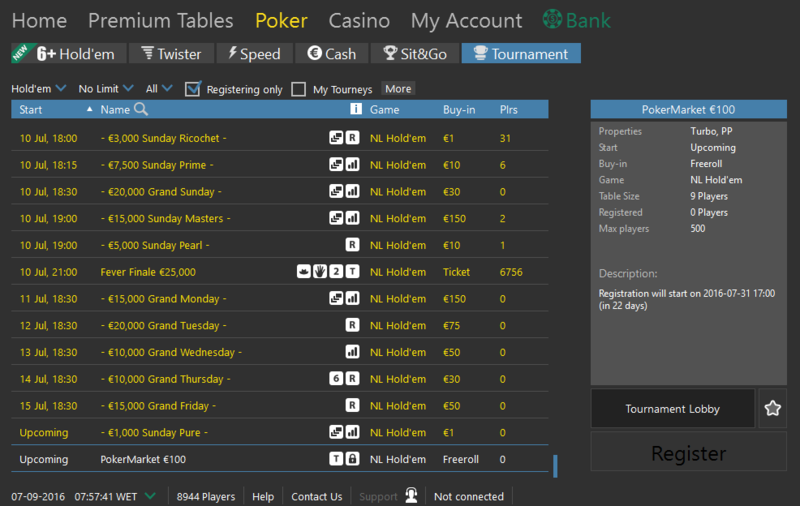 Players with old bet365 account which are not affiliate with pokermarket will not be able to enter the freeroll. freeroll starting in 2h from now for regged PM users!